Even the term “Cloud” itself is multi-facet, and won’t mean the same in one context as the next. There are many different types of “clouds,” but on average, when you hear “the cloud,” it usually refers to an endless storage pocket somewhere in the ether where you back up photos or notes from your smart device. SaaS stands for Software as a Service, and you know it as Dropbox or Google Apps. This type of cloud is a “software” created and managed by a third party. Unlike, say, software defined storage, choosing this option entails accepting the party’s terms, waiting for them to handle any bugs, and paying for the right to use their service, but it also means greater ease – you’re not responsible for the upkeep of the software personally. PaaS stands for Platform as a Service, and is typically a business-centric option of the cloud – with examples such as Google AppEngine and Azure PaaS. In essence, it is a sort of partnership between the third party provider and the IT department itself. It allows businesses to run their own codes while the third party provides tools for managing the code, releasing it, and tailoring server settings to their liking. But it does not grant direct access to the server itself. A portion of the process is still out of your hands, making it crucial to choose the option you can trust to manage the additional details properly. Finally, there is Infrastructure as a Service. This option gives businesses the power to create their own platform and manage their own infrastructure. They can customize an ideal environment specifically tailored for them and their needs, with the ability to run your own VMs, personalize your firewalls, and design a storage that suits your requirements. This occurs when a member of a company seeks out alternative cloud solutions unapproved of by the organization. For example, if an employee decides to use a different cloud storage option and run applications through it, rather than using the one designated by the company, it is Rogue IT. The edgy name comes from the way it leaves open a door for security breach; the firewalls will ignore the different cloud option, assuming it is safe by association, and fail to catch any incoming threats it allows in. One of the greatest advantages of cloud computing is its flexibility and scalability, and those two assets are defined more precisely as autoscaling (or ephemeral computing). If your applications see a huge influx of activity or resources, they may not be able to handle the load. The entire system will shut down as a means of self-defense. Alternatively, if you scale up your cloud to handle this load, in times of rest, you’ll be using and paying for more servers and energy than is needed. Autoscaling automatically keeps an eye on your cloud usage and takes action immediately should there be a huge rush of traffic, adding more resources as needed and scaling it down when it’s not. What Should You Outsource to the Cloud? Businesses seeking out a platform or a ready-made infrastructure for them to take over can outsource their application operations to the cloud, using it as a base for them to work and deploy their codes. Should you not be interested in starting from the ground up, you have the option of using premade applications provided by a third party cloud to save the effort and the cost of developing and deploying your own apps. 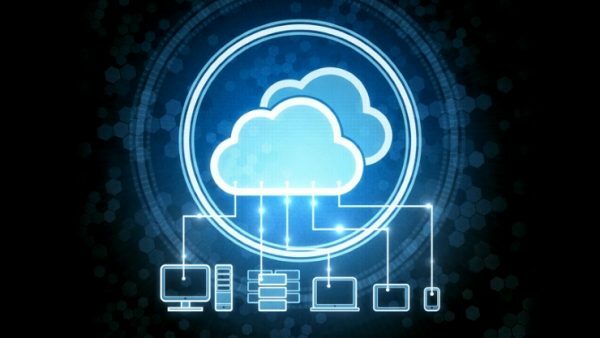 Finally, small businesses usually seek out the cloud at its most basic level as a way to back up valuable data, or to use it as an internet-based workstation where they can share, collaborate, and communicate among all employees.